C. Bower taxi & limousine hire in Chesterfield. Homepage. 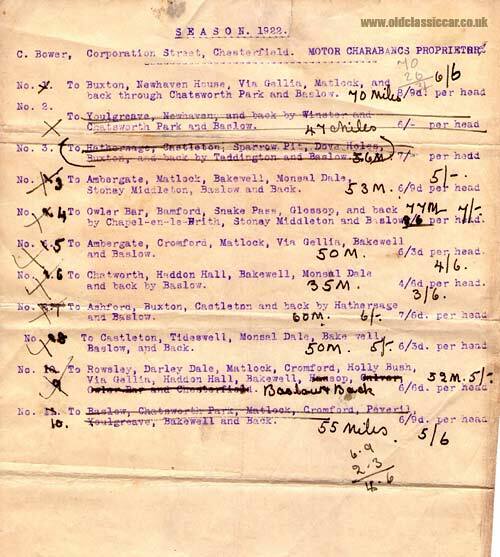 This page: Early documents relating to a motor & carriage hire company in Chesterfield. 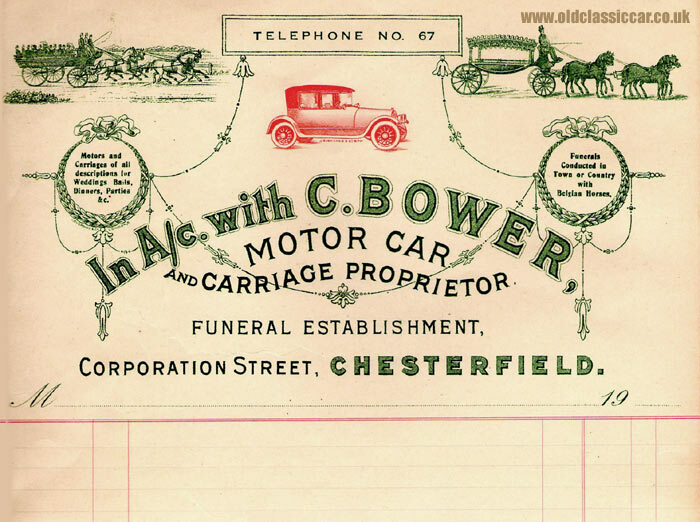 C. Bower Motor Car & Carriage Hire. 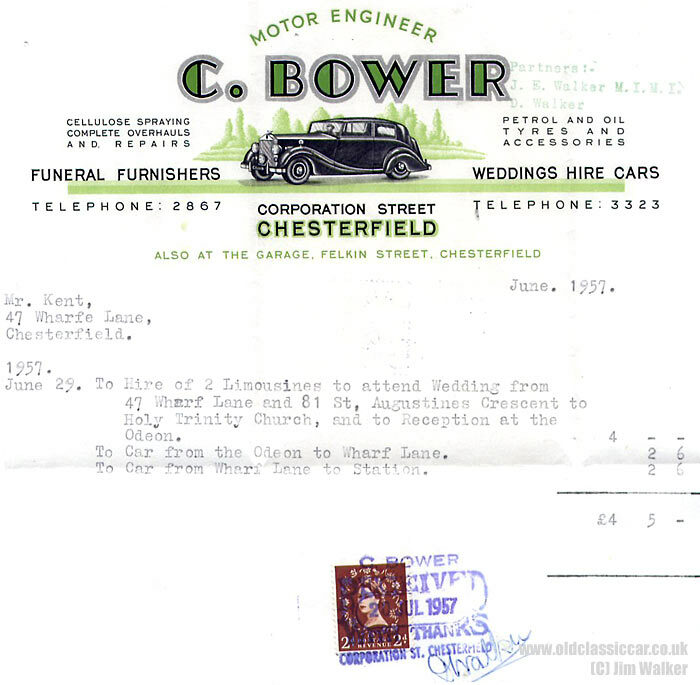 A selection of Jim Walker's motoring-related photos appear on oldclassiccar, and this page features a selection of vintage documents that relate to his family's firm, Bower's of Chesterfield. In the early days, horse-drawn vehicles, and then char-a-bancs, featured strongly in their business, and photos of their char-a-banc fleet can be found on the Crossley char-a-bancs page, in the vintage photo section. Limousines for both weddings and funerals also became available for hire, with photographic examples of these (for instance their Rolls-Royce Silver Wraith) available to view on the site. The first item of documentation that Jim was able to preserve is the letterheading shown below, a piece of ephemera that dates to the 1920s. Illustrated are a motor-car, and the firm's horse-drawn funeral carriages. The second item of interest, which seems to date to the 1940s, is also an illustrated letterhead, and by now a simpler affair when compared to the example above. The thumbnail can be clicked upon to view a larger version of the image. By the 1950s, the artwork had been altered once more, and an example of a company invoice from December 1954 is presented below. Going back earlier in time, to 1922, is the next piece, which is a much-modified tariff of charges for char-a-banc hire. 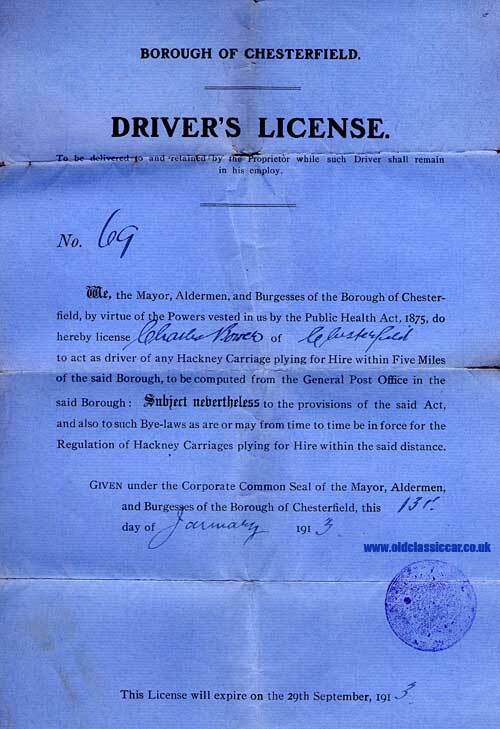 The blue document is an original Hackney Carriage Driver's License, which dates to January 1913, and enabled Mr Bower to ply for hire within a five mile radius of Chesterfield's General Post Office. The final item of this set is a postcard-sized handout, which doubles as an ink blotter. 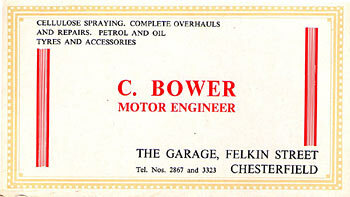 Jim also has a second example of the 1950's invoice, in better condition that the one shown above. 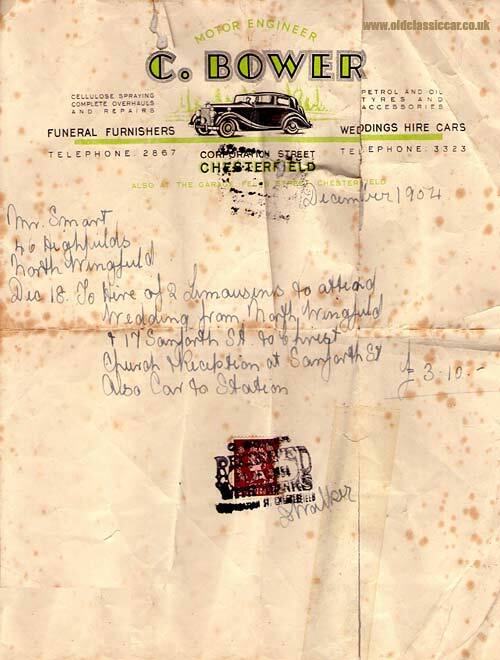 This 1957 invoice is for the hire of two limousines, collecting people from Wharf Lane and St. Augustine's Crescent, and delivering them to the Holy Trinity Church, in Chesterfield. 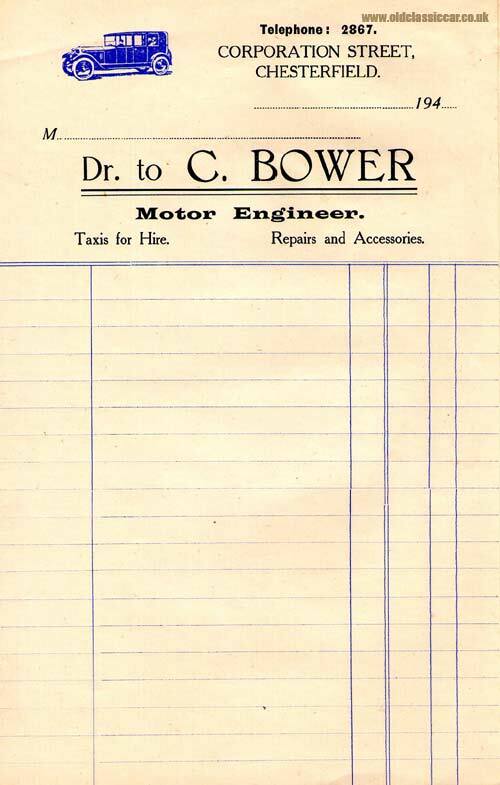 The invoice describes the other services that C. Bower's establishment could offer, these included cellulose spraying, vehicle repair, tyres, oil, petrol and car accessories. I'd like to thank Jim for scanning and sending these over. If anyone can help Jim in his hunt for more items that relate to his family firm, please get in touch and I'll forward the details on. This page features photographs of Austin 12/4s that served with the garage in the 1930s.